Why Is Bankroll Management SO Important? How Much Should You Bet at the Casino? 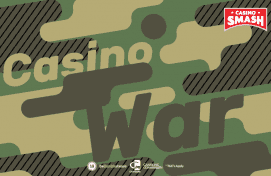 In this article, I am going to show you how to manage your money at the casino and how to make your bankroll last more than it ever did. The art of managing a casino bankroll is what separates winners from losers. If you don't know how to manage your bankroll, you'll never be safe. That's because there are no strategy tips or advanced winning systems that can help you if you don't know how to use your money the right way. This no-nonsense guide to managing your bankroll helps you do just that. Learn concepts like what is a bankroll and scared money and you will know how to give the correct value to your games and avoid the gruesome swings every gambler needs to face. As a gambler, your bankroll is the sum of money you set available for your games. What a bankroll is not, it's all the money you have. It's 'only' what you decided to invest in your games. People say you should play the casino games with the best odds, and they are right. What they never do, however, is give you real tips on how much money you need to play Casino games. Today we are going to change that. Use this superb no deposit bonus to build a risk-free bankroll. Register a free gaming account on the site and collect the bonus to play! According to the you should only bet "what you can afford to lose." It doesn't matter if you want to win millions or you are just trying to have some quick fun online. To beat the house you need: skills, time, and luck. And before all three happen at the same time - you will lose money. If you are not prepared to go through a losing streak, you will never be a winner. You can't imagine how many people I have seen going broke during the 10+ years I spent in the gambling world. From the crazy Asian gamblers that flock to the Casino Barriére in Enghien-les-Bains after they shut down their restaurants in Paris (true story) to those who try to make a living out of online gambling - losing streaks happen to everyone. You can't quit while you are ahead if you don't know how to manage your bankroll. Reading the best strategy articles, counting cards at the Blackjack table, and knowing what are the loosest Slots is nothing if you don't know how to size your bets and manage your bankroll. In gambling - like in everything else in life - bankroll management is the key to success. Think about it: if you don't buy a $4k flat screen TV if you can't afford it, why would you play games you don't have the money for? On this guide to bankroll management you find a list of useful tips that will make you a better player. You learn to assess what you have and manage your money in a way that will make you last longer at the games. Let me help you with a real example. lists some of the best live casino games with arguably the prettiest live dealers on the internet. I played at their tables for some time and I won quite a bit at the Blackjack table. However, I have also seen a lot of players go broke. Sometimes in less than 30 minutes. Lots of people blame the pretty live dealers for that, but I don't. Nearly all the biggest losers had one thing in common: they didn't know how to bet. When you place a $25 bet with a $100 bankroll, it's not the dealer's fault. It's yours. Putting at risk 1/4 of your money on a single hand of Blackjack is not just wrong, it's stupid. It reduces your chances to get the money back in case of a losing hand and it is a clear signal of poor bankroll management. I know, I know. You didn't come here to hear how much you shouldn't play. You want to know how much money you should bring to the Casino to pay for your games and end the session in the black. So, let's continue with the same example - the live Blackjack game. Before you sit at the table and play your first hand, you need to know what's the table minimum bet. That's because the first rule in successful bankroll management is not to know how much you can win if you get lucky. It's how much you can lose if you don't. Learn to think like a loser. That's how you'll become a winner. Unless you are a very good player, you shouldn't play anything that costs more than $2 if you are on a $100 bankroll. That's 50 hands of Blackjack. 50 hands of Blackjack are a very small amount to stay on the safe side, especially if you want to last longer than one hour. If you are not a pro (meaning: you didn't read this article), you should play only $0.5 or $1 games. It might not look much, but $2 is a lot of money. Especially if you don't get lucky in your first 25 hands. Make sure you don't bet too little, either. Bets of $0,5 or $1 are not only your best choice from a bankroll management standpoint, they are work at a psychological level too. But you also need to make sure you play enough money to care about the way you play. This is something you can learn from professional Poker players. Poker pros are the true masters in bankroll management. The most successful ones have the rare ability to bet an amount that doesn't make them "pot committed" and yet is still big enough to make them care about the outcome of their play. If a $0,5 bet at blackjack gives you access to a $1,5 win, is that enough for you to care? If a $0,05 spin at Slots leads to a $0.5 prize, does that make it worth your while? I know it wouldn't be enough for me. Such a small amount would kill my interested in the game. That's why I don't waste my time on those games - and neither should you. Any experienced gambler knows that the moment you stop caring about your losses it's the moment you are on a losing path. When you gamble, you need to care about what you do. You need to not be scared of losing money (if that happens, you are playing too much) and you need to be thrilled by the opportunity of putting together a win that means something to you. If $0,5 is nothing for you, why do you spend your time on the cheapest penny Slots? Ask yourself this the next time you play Slots. I am sure you won't play the same games ever again. To conclude this quick guide to managing your bankroll, let's have a look at what gamblers call "scared money," a.k.a. the money you should never play. "Scared money don't make no money"
All the financial traders who were lucky enough to be his mentees learned that one should never invest what they are not 100 percent sure they can afford to lose. And Brown is not the only one to warn about the poor decisions that follow the use of scared money. Forex trader and founder of of Daily Price Action Justin Bennett once spoke on the subject of scared money, too. He warned his clients that trading with scared money "is a surefire way to fail at this endeavor." "Attempting to justify the use of your rent money, your grocery budget, or any funds needed to pay for living expenses as risk capital is a huge mistake," Bennett stated. "Despite this truth, many Forex traders still attempt to do so every day. And the advent of brokers accepting debit and credit cards for deposits has further blurred the line between living costs and risk capital." Gambling is exactly like trading. You should never gamble with money that you are afraid to lose. This puts you at risk both financially and a psychologically, since losing scared money can cause emotional side effects that you won't be able to control. Gambling and losing scared money will lead to you second-guessing yourself and bring in the gambler's biggest enemy: fear. The moment you bet your scared money, your confidence begins to fade, making it harder to concentrate and to keep that clear mind that is essential to get good results at the table. You start to hope you will win your bets - and there's nothing more dangerous for you than to rely on hope. Once again, Bennett helps us to understand how bad this can be for a trader and a gambler. "When it comes to trading, the word "hope" is a four-letter-word," Bennett goes on to explain. "Said differently, it's a bad word and one that has no place in the markets." "As soon as you begin hoping for a particular outcome, you open the door for unwanted emotions to creep in such as fear and greed." And the moment that happens, you are doomed. Unless you are already a pro, chances are you need to grow your bankroll from zero. We all know how frustrating that is. Not knowing where to start is something every beginner has to deal with. And, again, this happens in gambling like in anything else. Start from a no deposit bonus. 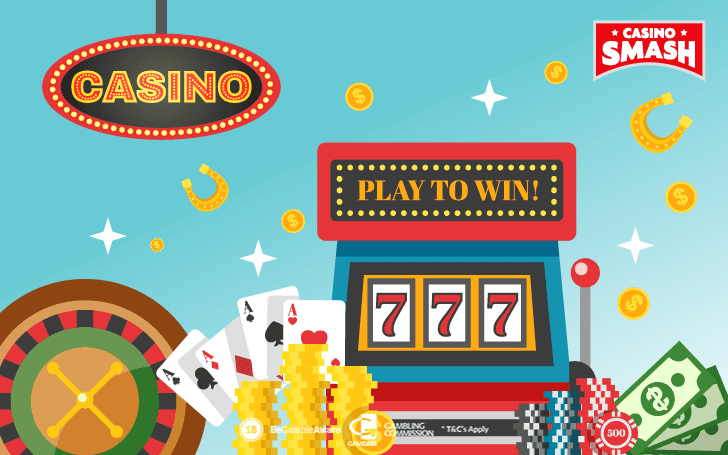 This way you can try some Casino games with no investment and see if you can build your bankroll with your skills (and your luck) alone. Click on the button below to collect your bonus. You might need to create an account to use it (but, hey - it's free!) and, remember: use it wisely. Don't bet too much all at once. Spread your money on small bets so that you can outlast a losing streak and be there when the winning one begins.